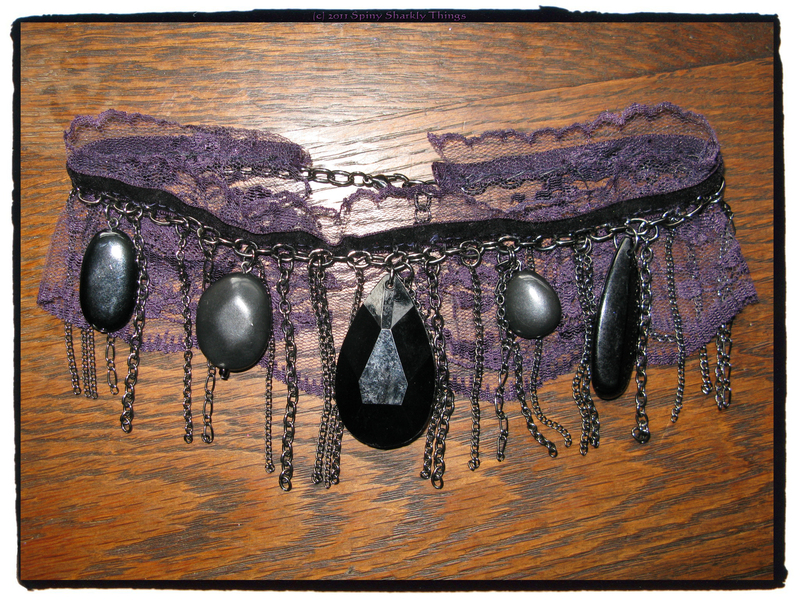 I’ve always had a penchant for Gothic and Vampire style jewellery, and bought some stunning black and purple lace last time I was visiting my mum. I have had huge fun over the last couple of days combining chain, skulls, beads, leather, you name it! There will be more soon, just waiting for some more sparklies to arrive! These are all for sale in my Etsy shop at just £15 each.